Today in 1777, the Second Continental Congress of the United States of America passed a resolution adopting the flag. 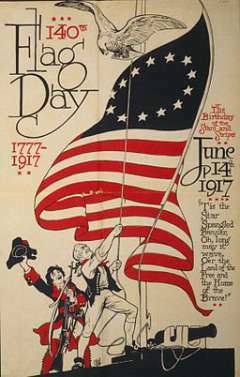 They also adopted the "United States Continental Army" which makes this the official birthday of the US Army. Go Army! 241 years old today and still keeping us safe and fighting for freedom. If you are looking to buy a new flag or replace a tattered one, I stumbled across this seller on Amazon - Vet-Mart - a veteran owned and operated small business founded to support veteran causes. Their flags are made in the USA by American workers. The reviews are very positive. 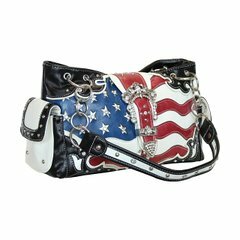 Also, while browsing Amazon I came across this very cute patriotic concealed carry purse. It features two zippered pockets on the outside back of the purse, one meant to hold your handgun. What better way to be "Armed & Fabulous", right?